Less small tweaks than before! Woohoo! Besides installing the ROMs themselves, there was only one other change needed. On the Mediator I needed to change the CONFIG jumper from OPEN to CLOSED – note that this is the exact opposite of what is needed for 3.1 ROMs. Being inherently lazy, the last thing I wanted to do was a start from scratch install. I had the system in a place where I really liked my setup, and so decided to see what I needed to do in order to get things going by mixing the 3.1.4 release into my current 3.9 install. From the Workbench disk (or ADF) I copied the contents of the C folder to my current SYS:C folder, overwriting any older versions I already had with those from the 3.1.4 release. I then copied LoadModule from the Modules disk (or ADF) C folder to SYS:C. This means I would now be using the new 3.1.4 versions of LoadModule and SetPatch. I also copied over the new intuition.library (the file on the Modules disk is called intuition-v45.library) from the Modules disk (or ADF) into LIBS: – this new version allows offscreen windows. 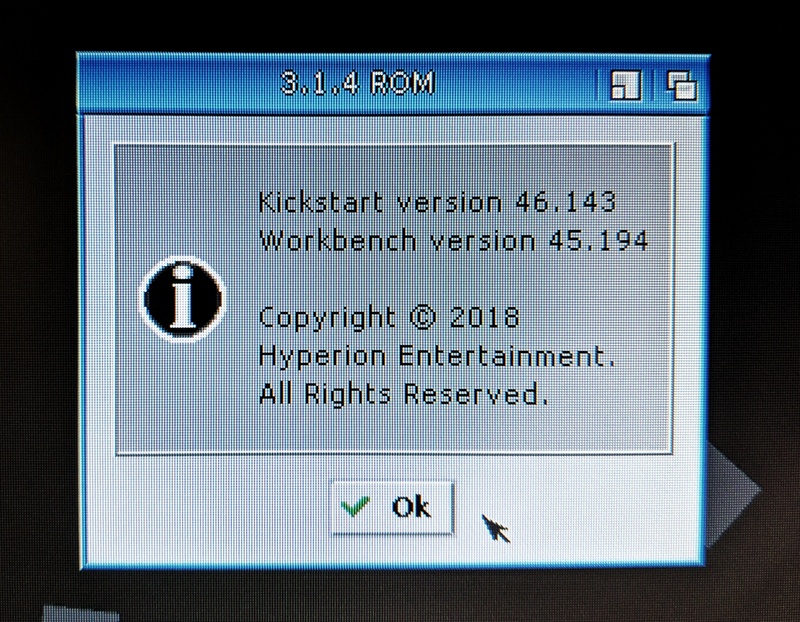 This seems a small thing, but makes a huge difference in workbench usability! Note that it’s also worth grabbing the rest of the libraries, there are small bugfixes throughout many of them. I moved these over (checking version numbers to ensure they were newer) one at a time. So far, the only issue encountered is that the new workbench.library uses rexxsyslib.library to read, set and modify script variables. So make sure you bring both libraries over when copying. as per the FAQ provided with 3.1.4 – I also removed MuMove4K and PoolMem from the SS – as MuMove4K was no longer needed, and PoolMem seemed to cause issues on boot. NOTE: The NOMEMFKICK argument I’m using is to prevent LoadModule putting things into Chip RAM – I suspect this may only be required in conjunction with my Blizzard 1260. I would suggest that if you do not have a Blizzard, you try this without the NOMEMFKICK first. Finally I switched the machine off, and left it for a minute or two, as I wanted to make sure any reset-resident patches were definitely gone. And then, crossing my fingers, I started the machine – perhaps cheering slightly as it booted up without error, this process giving me a functional and incredibly pleasant to use system. What is an IndigoLemon anyway? January 3, 2017 Amiga Comments Off on What is an IndigoLemon anyway? 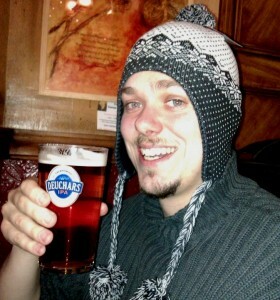 This blog has had many things dumped on it over the past few years, almost all of which have been geeky. So yeah, why break with tradition (as new as a given tradition may be). 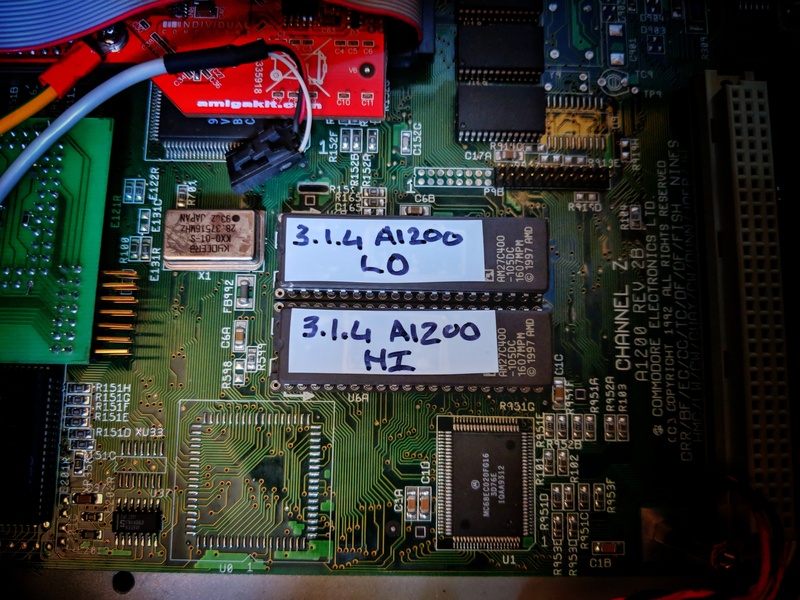 I’m going to start posting stuff up here to do with my retro computer projects (although likely to be more Amiga focussed) as I’m learning a lot as I go (and these are things I fear I can easily forget again) – so why not document it! 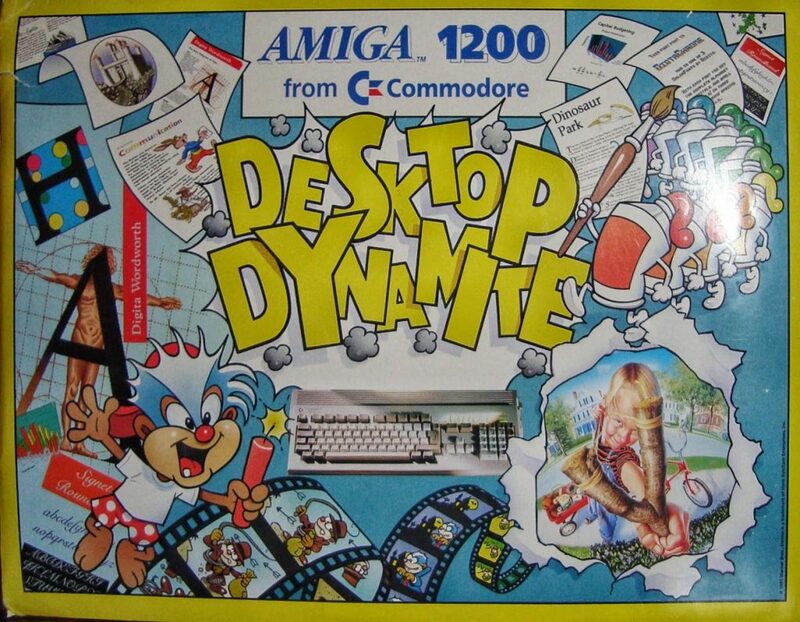 My Amiga 1200 didn’t start out as mine, it arrived as part of a Desktop Dynamite pack in Christmas 1993 and was very much the family computer. Of course, at that point all my brother and I wanted to do with it was play games! Which we did. A lot. My dad did actually use it as a computer however, typing up documents in Wordworth SE and printing them out on a Tandy Dot matrix printer (it was a noisy beast). All this was done while using a Philips 21″ TV as a monitor! Eventually the inevitable happened, and in late 1996 the Amiga’s days were numbered as the search had begun for a replacement; an IBM compatible PC. In 1997 a PC Science (where are they now?) 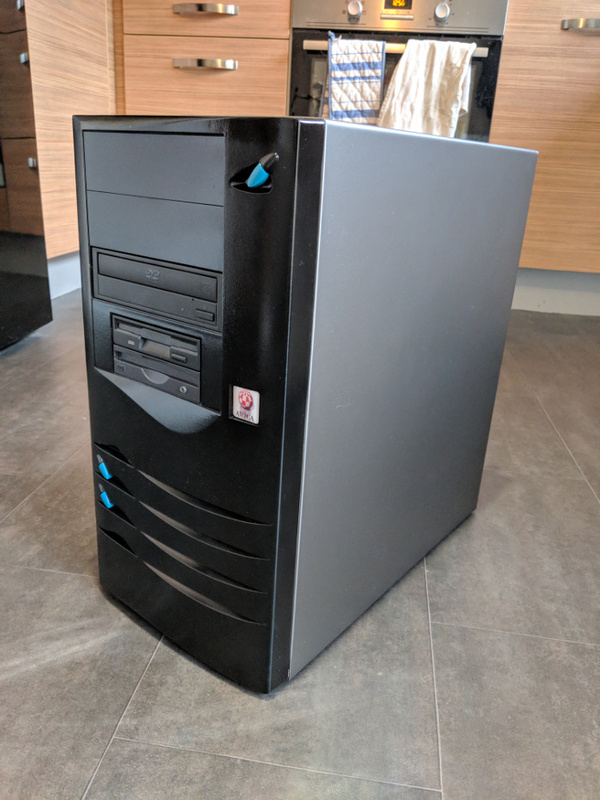 machine arrived, running a Cyrix PR166+ processor at 133Mhz (yeah, we fell for the marketing, it was a learning experience to say the least). 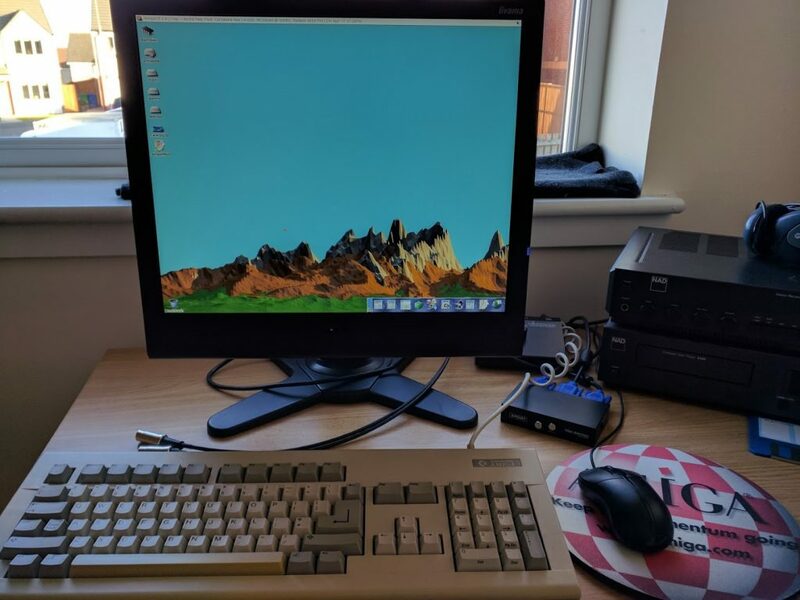 Anyway, with the arrival of this new machine, the Amiga moved upstairs into my bedroom, where I pretty much ignored it as I wanted to play games on the shiny new PC downstairs. Sad times! Eventually it dawned on me that I had a computer sitting right there, that no one else would fight me for use of, and that I’d never fully attempted to learn very much about. I started prodding it a bit and then, well, that was it. The slippery slope was found, and here I am, almost 20 years later and the same machine is sitting right next to me.